In dry spinning the fibre forming polymer dissolved in a volatile solvent is introduced into a heated drying chamber where the solvent is evaporated and solid fibre is obtained through spinneret. Dry spinning is suitable for producing fire denier fibres. It also no need of washing. 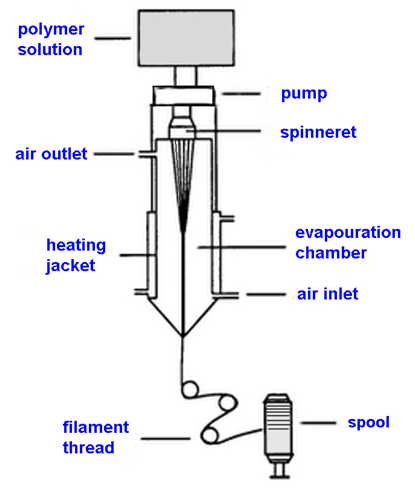 Flowchart of dry spinning process is given below.